You and your partner have been selected as delegates to represent your assigned country. You will be presenting information about this country at a forum on the Spanish speaking world. On which continent is your country located? 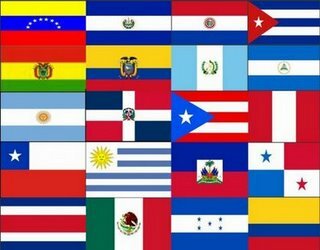 Are languages other than Spanish spoken in this country? What do the locals eat? Is there a typical music or dance associated with your country? Who are some well known individuals from this country? This WebQuest will help you and your partner to answer these and many more questions as you become experts on your assigned country. Enjoy!